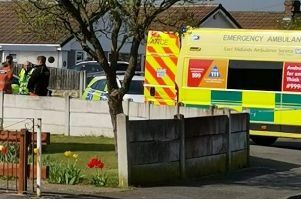 A police cordon and forensic investigators are at the scene near a Pleasley school where a “body” has reportedly been spotted on the ground. Nottinghamshire Police is at the scene near Farmilo Primary School and Nursery, on Woburn Road, after eyewitnesses reported seeing a “body” which was initially “found in a car”. It is understood that the police and forensic teams will remain at the scene for most of the day while investigators work out the cause of death. Parent Tammy Parker’s daughter attends the school. She said: “I was taking my daughter to school and she just said there was a body covered up a lot of police and forensics there. A nearby resident of Chesterfield Road North who did not wish to be named spoke of the shock in her area. She said: “It is usually a quiet area but recently we have had a couple of incidents, like when someone was growing drugs and lady attacked. Nottinghamshire Police has been contacted for an update.